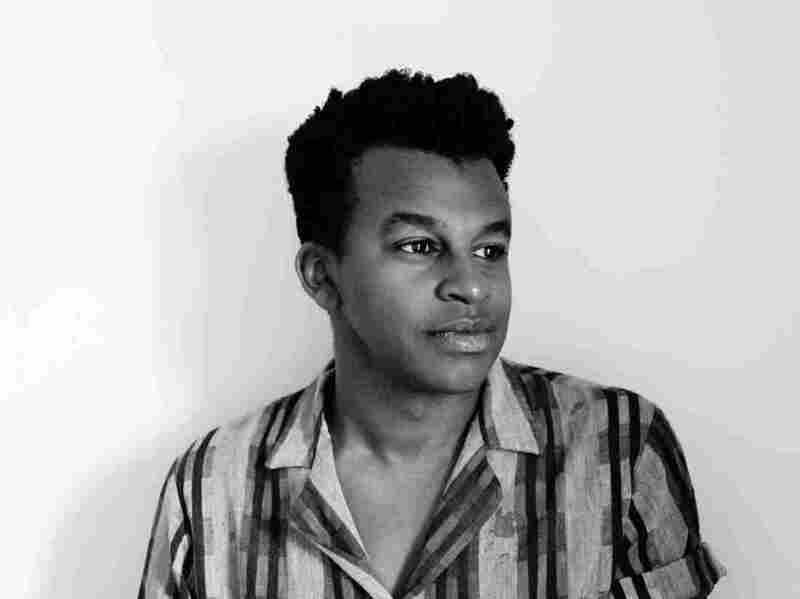 First Listen: Sinkane, 'Mean Love' Over memorable hooks and wickedly inventive grooves, Ahmed Gallab sings in an earnest, persuasive voice. Sinkane's music conjures East and West African music, James Brown, free jazz and shoegaze. Sinkane's new album, Mean Love, comes out Sept. 2. "You know I love you, but you're mean." Here's one of those eternal refrains. Nobody owns it; it's been in the air since forever. Maybe it was initially uttered by a songwriter toiling deep in the Brill Building, or first sung by a girl group. Because it carries the essential DNA of the done-me-wrong song, such a familiar sentiment can be a test: Whomever is singing has to sell the slight, and the hurt, and the story behind it. Ahmed Gallab, Sinkane's singer and leader, understands this mission. In the title track of his suave and eclectic third record (his second under the Sinkane name), Gallab brings a slight quiver to the verses — and then, gathering all the resolve his thin and perfectly rounded voice can muster, he delivers the tagline as a straightforward declaration. It's like he's resigned to his plight and no longer cares about editorializing it by appearing too vulnerable. He sings about it plainly, with little in the way of garish ornamentation. His voice offset by weepy steel guitar, he repeats the line, sometimes adding the words "mean to me" as punctuation, and by this point any hint of contrivance is erased: To the Sudan-born, Ohio-raised, Brooklyn-based Gallab, this is less about singing a pop song than telling a truth. It's an art, being believable in this way, and Gallab has it nailed: Whether riding the waves of a brisk African dance ("New Name") or working through a tightly wound Curtis Mayfield-conjuring funk vamp ("Hold Tight"), he infuses the vocals with unusual intimacy, the desire to be felt first and understood later. Even if, as happens throughout Mean Love, the refrains start out simple and veer toward the blunt. At first, this seems like lowballing, but there's wisdom in the approach: As on Sinkane's previous album Mars, the backdrops are a thick stew, with elements of both East and West African music, James Brown, free jazz and shoegaze. Gallab recognizes that Sinkane's broad range of influences can come across as busy — or, worse, muddled. So he places the focus on terse, easily repeated catchphrases, many written by his lyricist collaborator Greg Lofaro. These cut to the core message of the (often love-minded) narratives, and their simplicity contrasts with the oscillating, ever-changing mix-and-match accompaniment schemes in the background. The result is a formidable type of persuasion: Clear, earnest voice meets memorable hook over wickedly inventive groove. This streamlined approach to songwriting is one of the ways Sinkane has grown since Mars first broke through. There are moments when Sinkane lunges in the direction of recent exotica-spiced hits by Bruno Mars, and moments when the glances are all in the rearview, toward the volcanic soul of the '60s and '70s. There are also more overt and confident evocations of African music — Gallab served as the musical director for a star-filled celebration of Nigerian iconoclast William Onyeabor earlier this year. The most gripping of these include the last song, "Omdurman," named for Gallab's hometown in Sudan. Unfolding with a calm, hymn-like grace, it expresses the universal frustration of the young and rootless with likes like, "Where, if I should settle down, will I finally settle?" But the refrain that's likely to get the most attention appears in "Son." It's a vow, sung with extraordinary resolve: "I will not forget where I came from." Gallab again doesn't do too much with it, and he doesn't have to: As happens frequently on Mean Love, the music around him echoes and affirms those words in quietly breathtaking ways.